There isn’t a week that goes by that we aren’t baking something in the kitchen together. I love getting the kids involved in the kitchen as much as possible. I think it’s really good for both girls and boys to learn how to bake and cook. We go over what is a treat and what is healthy for us. They love helping mom decorate cookies and cupcakes especially because they get to lick their fingers. Let’s face it even us adults are guilty of such pleasures. 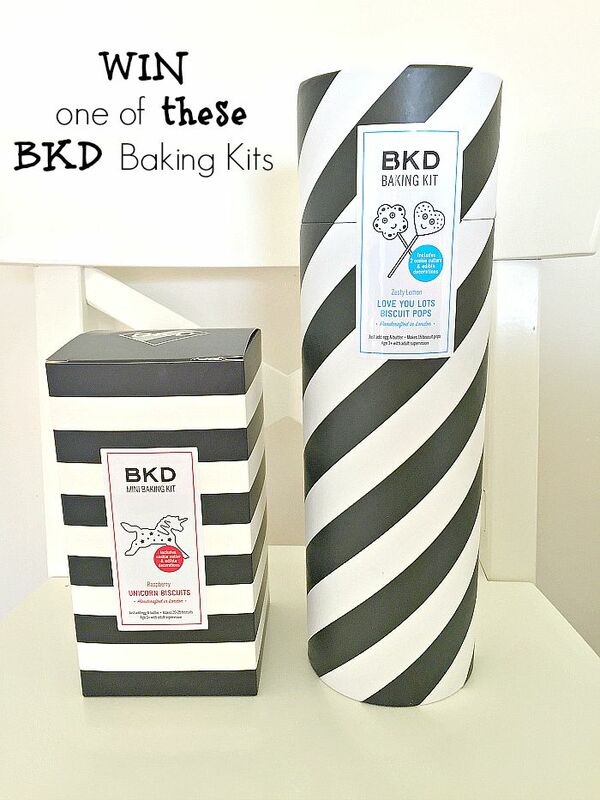 We have long loved the brand BKD for their amazing baking kits. They always have everything you need in them to create masterpieces you see in the bakery right in the comfort of your own home. It’s helpful if you aren’t a creative baker as it gives you tutorials and ideas how to decorate and have fun with them too. We loved making the Monster cupcakes which are absolutely perfect for Halloween or any fun occasion. You have to go have a peak how ours came out. I was really impressed with how good they tasted and the flavors of the baking kits. You can buy a lot of ready-to-make mixes that taste awful or just don’t have the home baked taste to them. Well, we tested out the raspberry unicorn biscuits and the zesty lemon love you lots pops biscuits and they did not disappoint. The raspberry unicorn biscuits had a lovely fruity taste to them. I struggled to not make the edges brown as my new oven bakes hot and fast but they tasted delicious. The kids loved adding the fun confetti star sprinkles while mommy traced the unicorn out. They may have had to lick their fingers a few times on this one and some of the unicorns went missing before we got to take a photo of them all together finished. (Daddy may have helped them on that one too). Baking with your kids doesn’t have to be a stressful messy job. That’s the beauty of getting these baking kits everything is already measured out and ready for you to just put together. Keeps things organized and easy for a fun day in the kitchen. I love making these memories with the kids and hope one day when they are older they will recall many of our amazing baking creations. They definitely already have favorite jobs to do. B is in charge of cookie dough rolling or if we do cupcakes always loves placing all the cupcake liners in the pan. MM is more of a decorator with the frosting or cracking the eggs into the bowl or adding water which ever the recipe calls for. They are really good about taking turns with things while we bake and it’s made it really enjoyable for me too. We were ever so impressed with the zesty lemon love you pops biscuits. 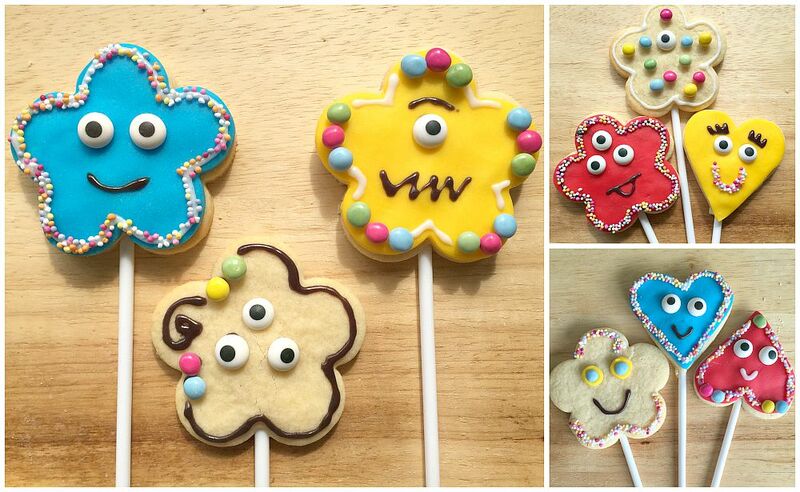 I have never seen cookies on a stick before. The decorations were so much fun. I had to guide the tots a little on this one as we were making them for a party we hosted. But the kids were squealing with delight as we created a different silly face on each one. For me, I needed to make the dough a little thicker for some of the sticks to stay in place and not cook the hearts as long as I did as some of the sticks wouldn’t go into the bottom. But overall we not only think these look outstanding, if we do say so ourselves but the zesty lemon was our absolute favorite. We have had requests from the neighbors to make these again too. It seems like a big favorite among everyone. 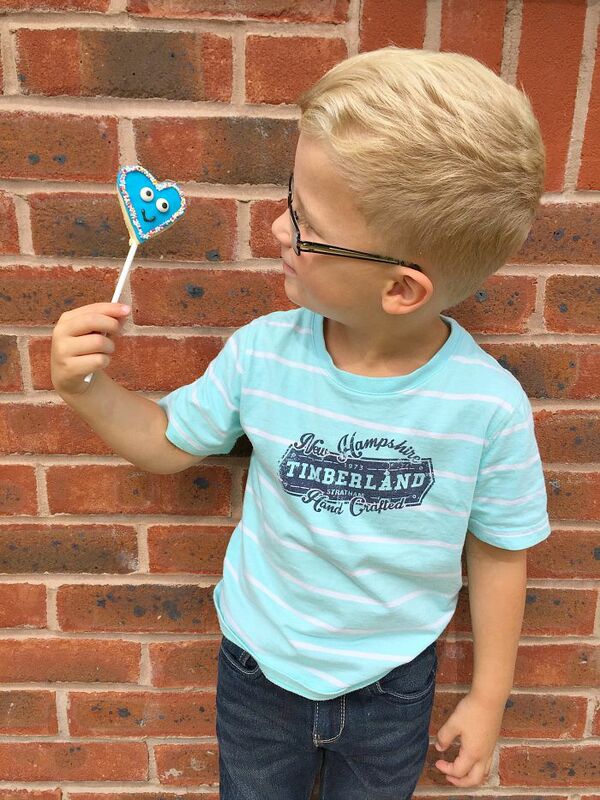 B was loving that his cookie was on a stick and didn’t want to eat it. Even asked if he could put it on his shelf in his bedroom which really tickled me. After the first bite though he retracting his request and ate it all. He kept smiling at it, “Mommy it’s smiling at me”. 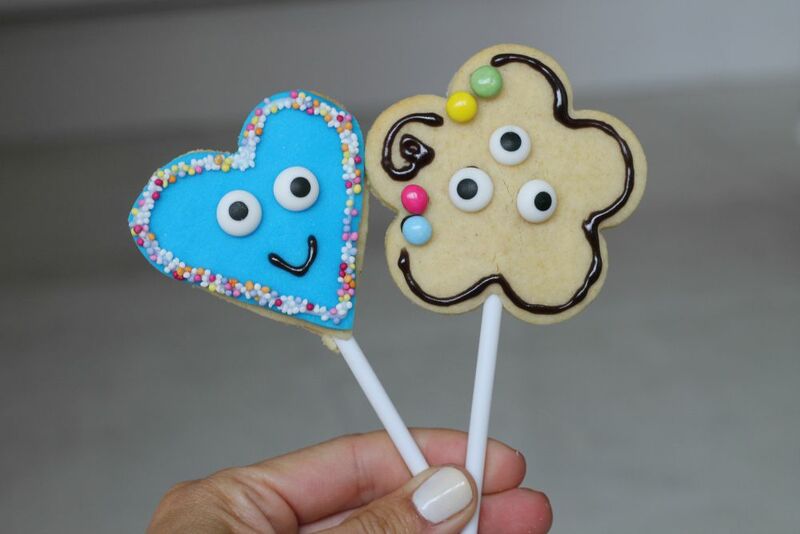 Never knew a cookie could be so entertaining, it had to be the stick. I have so many ideas for future parties we have bundling these together with ribbon in threes like little bouquets of goodies. Or having party cups filled with them as table decorations. There is so many different ways you can decorate them your options are endless. Why not even turn your hearts upside for a different look? All your baking kits come with ideas as well so if you are at lost for what to put on your faces it’s there to guide you. 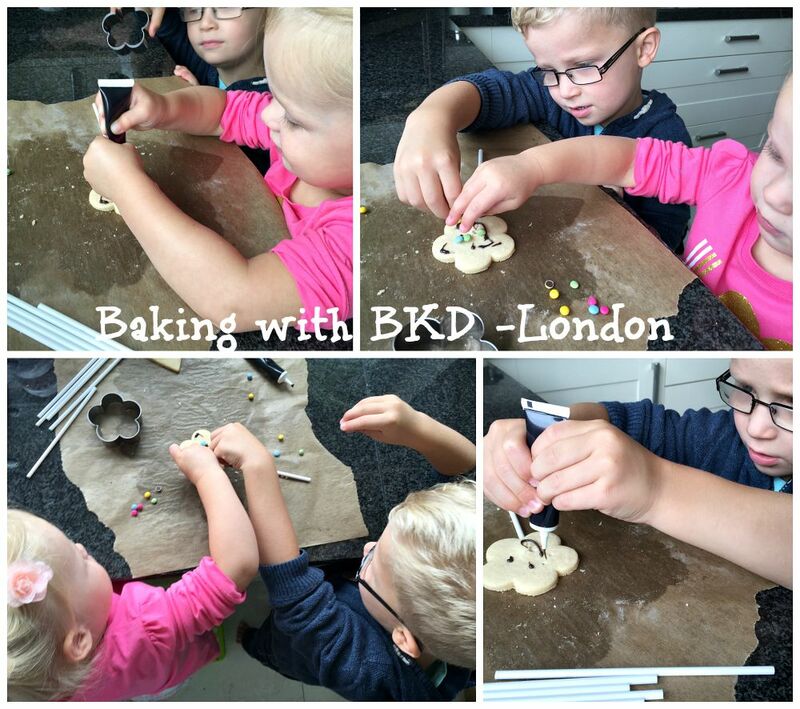 Have you tried BKD London baking kits before? What did you think? If not, well here is your chance to WIN one of these baking kits below. TWO WINNERS will be selected to take one of these home so get your entries in today and share. Don’t worry if you don’t win I have a special discount code for you to use at checkout so you and your little ones can get your baking skills going. DISCOUTN CODE IS LETSTALKMOMMY15. These loOk really sophisticated for baking kits. Id love to win one! They are and they taste amazing too. Double win-win. They were tasty too. lol 🙂 Good luck. 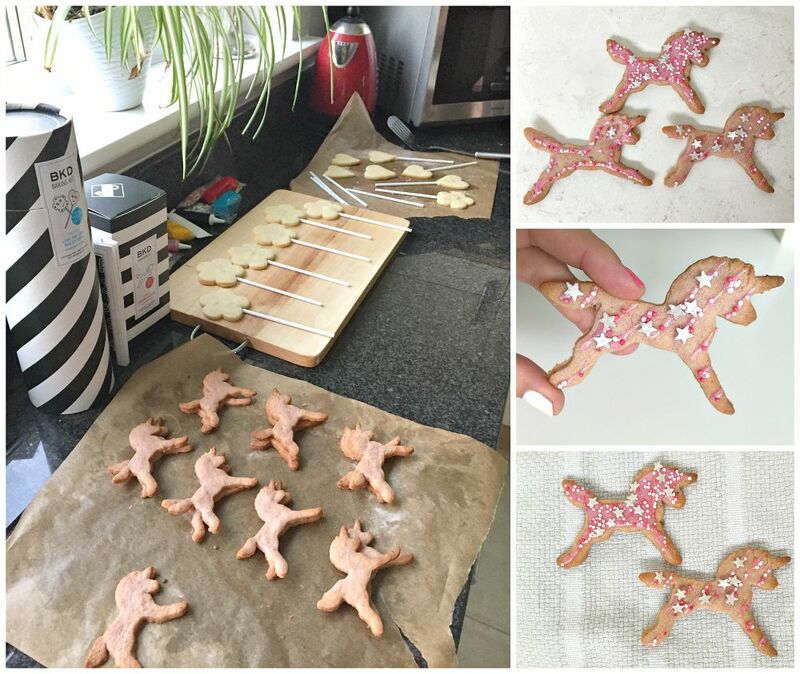 Love the unicorn cookies – looks like your kids had fun making them! They look so much fun would love to make them with the kids. It was fun getting creative and the kids getting involved too. They loved it. 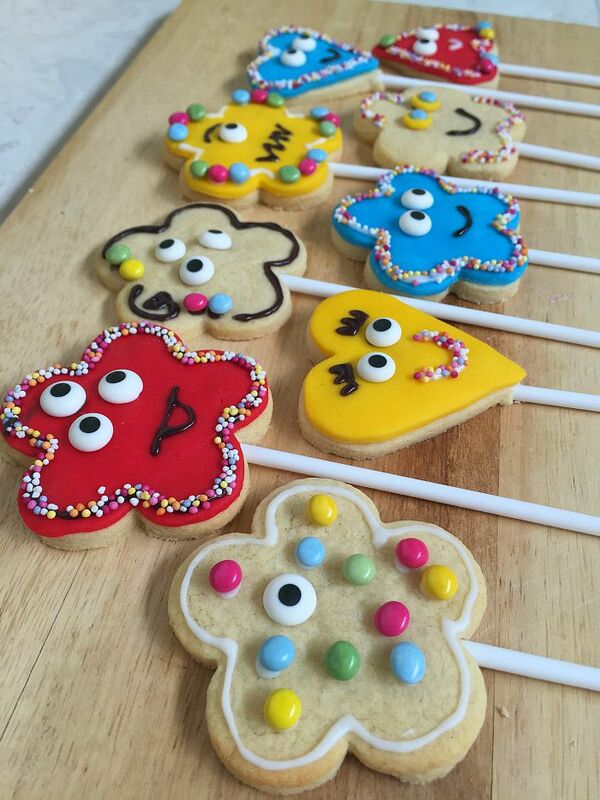 These look delishious, my kids love baking. They look really tasty and so much fun!! These look amazing! Fab job, would love to try these with my son.